The announcement was made during the Farnborough International Airshow. The company’s multifunction display system (MFDS) is a key part of avionics upgraded for the Spanish Navy as part of an AB-212 helicopter life extension program. We go behind the scenes at cargo basket and bike rack manufacturer Aero Design. Helicopter pilots Bob and Steven Dengler circled the globe to mark Canada’s 150th birthday. They brought a lifetime’s worth of memories home with them. The global helicopter community is rallying in response to Africa’s rhinoceros poaching problem, sending pilots and aircraft to the front lines. Blade, the Uber-for-helicopters company, envisions a future where rotorcraft co-exist with smaller, quieter, electric vertical take-off and landing carriers in the skies over New York City. Team Cormorant comprises Leonardo Helicopters, IMP Aerospace & Defence, and other key Canadian companies. The H135 final assembly line is seen as a significant step in the company’s internationalization and partnership with China. 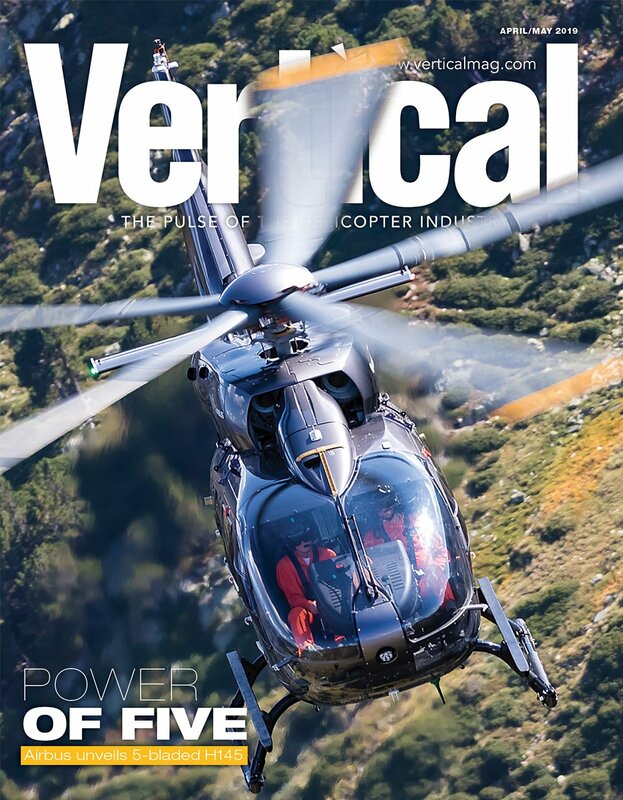 The story behind Start Pac — the company and products that have become a saving grace for pilots caught in remote locations with drained aircraft batteries. Three pilots from Ontario and Quebec are trying to become the first Canadians to circumnavigate the globe in a helicopter. The company is celebrating several exciting developments ahead of HAI Heli-Expo in Dallas, Texas. 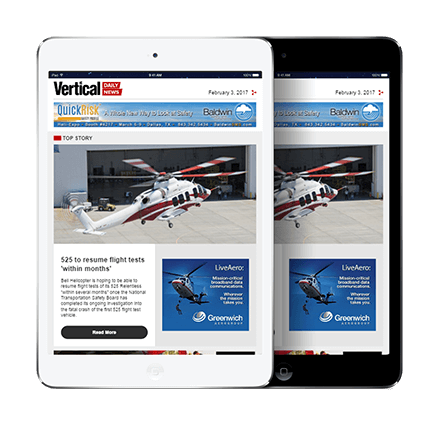 With a completely redesigned website optimized for mobile devices, the helicopter industry’s most trusted resource will be a pipeline for late-breaking news throughout the show. Known for searchlights, Trakka is now bringing its design philosophy to multi-sensor camera systems. Swiss Air-Rescue Rega has signed a contract to purchase six new Airbus H145 helicopters. The Ecureuil family is the first helicopter fleet with 100 aircraft operating in China’s civil and para-public market. A new survey suggests plenty of optimism about how the U.S. presidential election could impact the industry. With laser attacks on the rise, a new product aims to be the definitive shield for pilots. Sundance Helicopters, Inc. will be the only tour operator to fly over the Las Vegas Strip on New Year's Eve during the fireworks show countdown to 2017. A new memorial in Massachusetts pays tribute to victims of the deadliest helicopter crash in the U.S. special operations history. Columbia Helicopters plans to incorporate the new bubble door it developed with Leading Edge Composites on all the Model 234 and CH-47 Chinooks in its fleet. The GrypMat’s flexible, rubberized material allows it to go where other tool trays can’t. Consolidated operating revenues for the quarter ended Sept. 30, 2016, were $158.1 million, compared to $214.7 million for the quarter ended Sept. 30, 2015. Netherlands-based AD-S & Co. will be Heliwagon’s first European distributor. 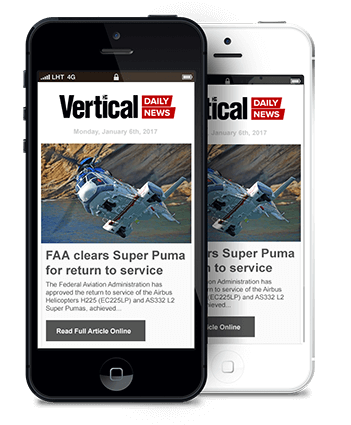 The company moved 21 Boeing rotorcraft and airframes for Columbia Helicopters. The signing of the agreement on creation of the joint venture was part of the Russian-Indian summit, which took place in the Indian state of Goa. 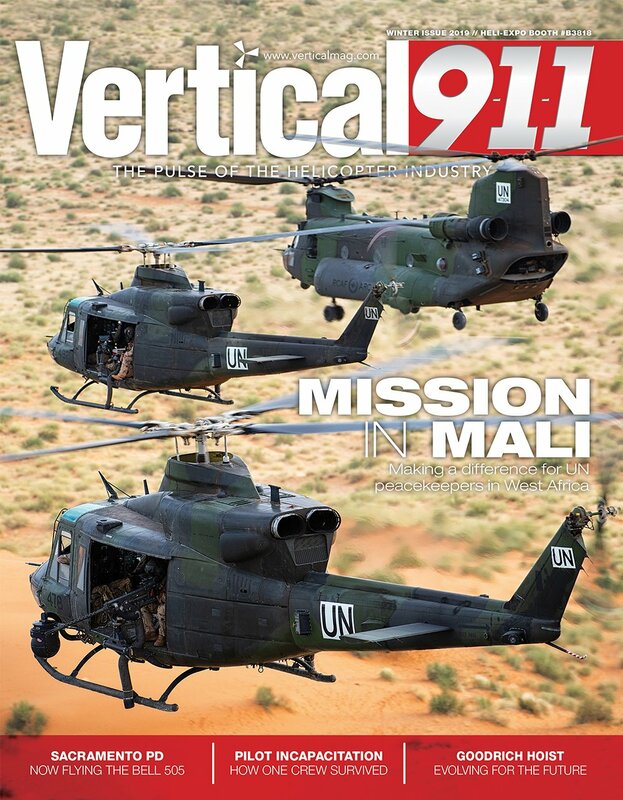 Rhino911, in cooperation with Heli Africa Wildlife, will use the Bell 407GT to combat rhino poaching to curb the rising number of rhino kills in South Africa and surging demand for illegal rhino horns. The Directorate General of Armament and Equipment has completed the transfer of the first two NH90 tactical transport helicopters from the Airbus Helicopters plant in Albacete, Spain, to the Spanish Army. The conference's goal is to reduce the U.S. national helicopter accident rate. Russian Helicopters will feature a full-scale sample of Mi-8AMTSh-VA at a private showing during the International Military and Technical Forum ARMY-2016. This traditional event is focused on giving deeper insight into the Russian helicopter industry for the international community.